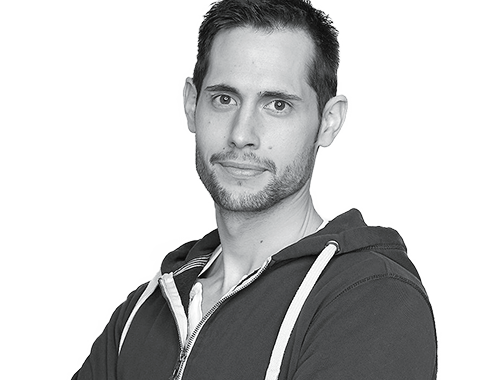 Volker (30) worked as a working student at COMPRION for 5 years. After finishing his International Business studies, he was offered a job as a project assistant. Now he is building up a whole new work area. In the interview, he is talking about his exciting career path at COMPRION. What brought you to COMPRION? Before I started working at COMPRION, I completed my apprenticeship as industrial management assistant in February 2010, and I was looking for a summer job until university started in the fall. It was by chance that I heard about a vacancy at the COMPRION reception desk. At the time, the job was closely linked to the marketing department. What were your tasks as a working student in the marketing department? At the beginning, I did some research on our competitors, press portals, and other topics. I also worked on the glossary of our website. After having been working with the company for some months, I participated in planning and preparing trade shows, for example, creating crew maps and booking hotels and flights. After the trade shows, I processed the results: The acquired leads had to be entered into the database and the lead sheets had to be evaluated, etc. What was it like to be a working student at COMPRION? Due to the familiar atmosphere at COMPRION, you do not feel like a mere working student as you would in other companies. I felt like a fully integrated member of the team from the start. Everybody was nice and friendly. I was a part of the company, with my own tasks and responsibilities. When I work on something, that is important for the company and I can advance the company's targets, that means responsibility to me. My motivation is much better, when I am responsible for something, because I want to justify this responsibility. How did your job develop after your time as a working student? After having completed my degree, I was thinking about my future career and potential employers. As I felt very comfortable at COMPRION, they were, of course, my first contact. The only problem was, that COMPRION is not a typical commercial company. Most of the employees are engineers, who work in IT or electrical engineering. Just a small part of the staff are in the commercial area. But then a sales assistant position was vacant and I submitted my application. One product unit manager offered me a job. We discussed the details and he introduced me to his concept: He explained, that he wanted to introduce cost controlling in his business unit. This sounded very interesting to me, and, after negotiating the details, I accepted the job offer. Yeah, it felt great indeed! Before his job offer, I had only brief contact with the head of the product unit. I was very surprised, especially as the position had not been advertised at that time. That was, of course, an honor for me, because someone must have said: "Go ahead and ask Volker about it! He's good (laughs)." It felt good to know that I was perceived by others. I also like that COMPRION always tries to staff new positions internally. What is your vision and perspective about yourself in this company? Where are you going with COMPRION? That's a good question. I hope, that we can expand the field of controlling further and introduce it to the other departments as well. In this context, I would like to support the other units and help them to implement and push this area. One final question: What is COMPRION to you? For me, COMPRION is a place where I like to work. I often hear people complaining about how reluctantly they go to work. Of course, I like staying at home or going on vacation, too. But I also like going to work. Getting up early is more of a problem, however, due to flextime, I can adjust my working hours to my personal needs, so that I can also sleep in sometimes. That is COMPRION for me.